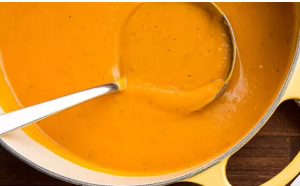 Keep It Spicey Sweet Potato Soup - Keep it Spicey! Using a blender, stick blender, or food processor, purée mixture (in batches, if necessary). Return mixture to the pot. Season to taste with salt, pepper and a little more gourmet smoked brown sugar if needed.